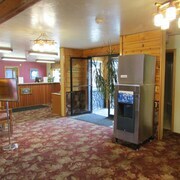 Situated in Haines, this hotel is close to Chilkoot Lake. Area attractions also include Mount Ripinski. 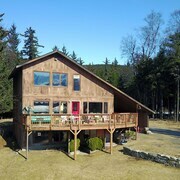 The house is very comfortable and the location is great. It has a beautiful view of the water and the mountains. We enjoyed our stay. Where to find Skagway hotels near an airport? Where can I find hotels in Skagway that are near tourist attractions? 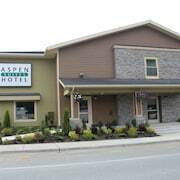 Our accommodation page has just one accommodation option that is within a 0.1-kilometre (0.06-mile) radius of Skagway. However, if you travel to this part of United States of America, you have the option to stay in Gustavus 130 kilometres (80 miles) away from Skagway. 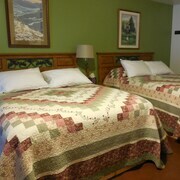 Gustavus hotels include the Gustavus Inn at Glacier Bay and Glacier Bay Lodge. For those keen to see more of the forests, mountains and glaciers that are typical in this part of the world, you could also spend some time in other places in Southeast Alaska - Inside Passage. 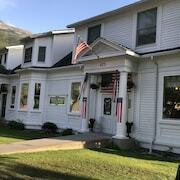 You might like to visit the region's attractions or enjoy snowmobiling and hiking and then find a convenient hotel to stay the night. Before you head out the door to Skagway, be sure to have a look through Expedia's Skagway travel guide where you'll learn about the numerous cultural and scenic attractions this fascinating place has to offer. 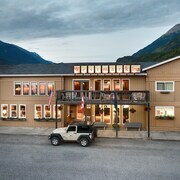 What are the most popular Skagway hotels? Are there hotels in other cities near Skagway? 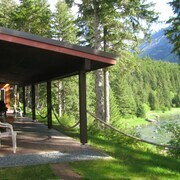 What other types of accommodations are available in Skagway? Explore Skagway with Expedia.ca’s Travel Guides to find the best flights, cars, holiday packages and more!